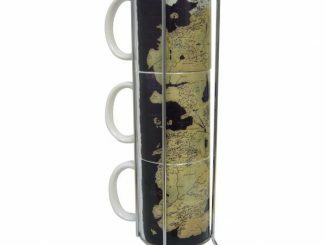 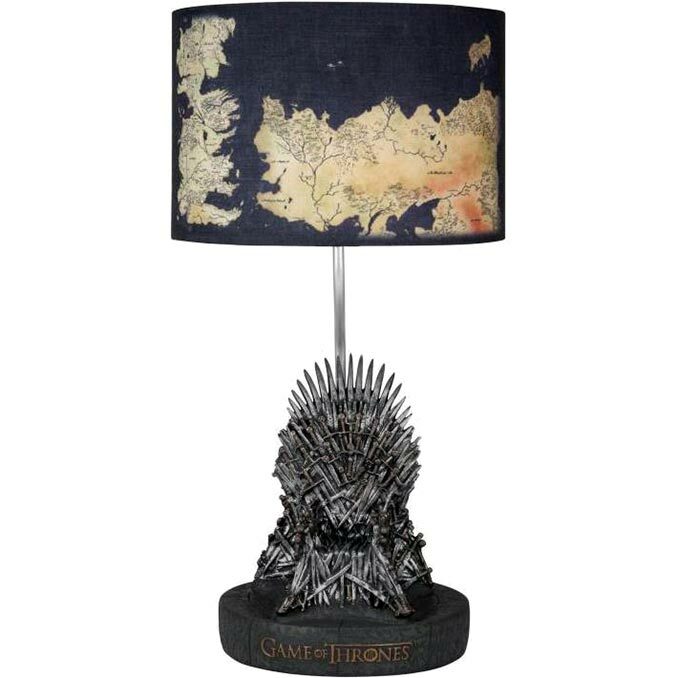 There was another Iron Throne Table Lamp a few years ago, but this new Game Of Thrones Iron Throne Desk Lamp appears more impressive due to the map of Westeros lampshade. 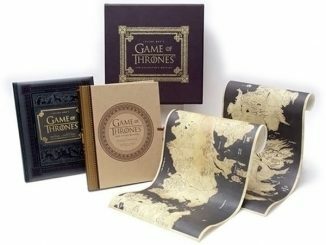 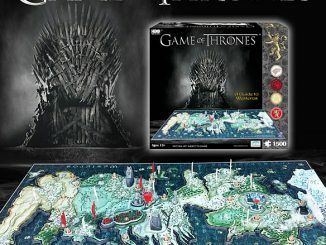 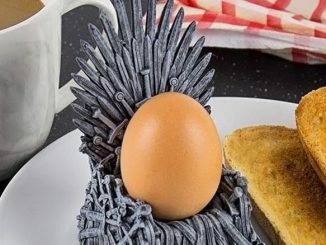 It makes a great collectible for any Game of Thrones fan. 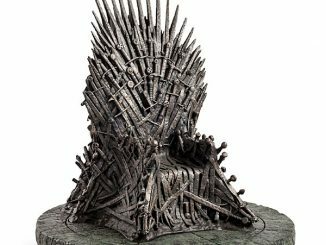 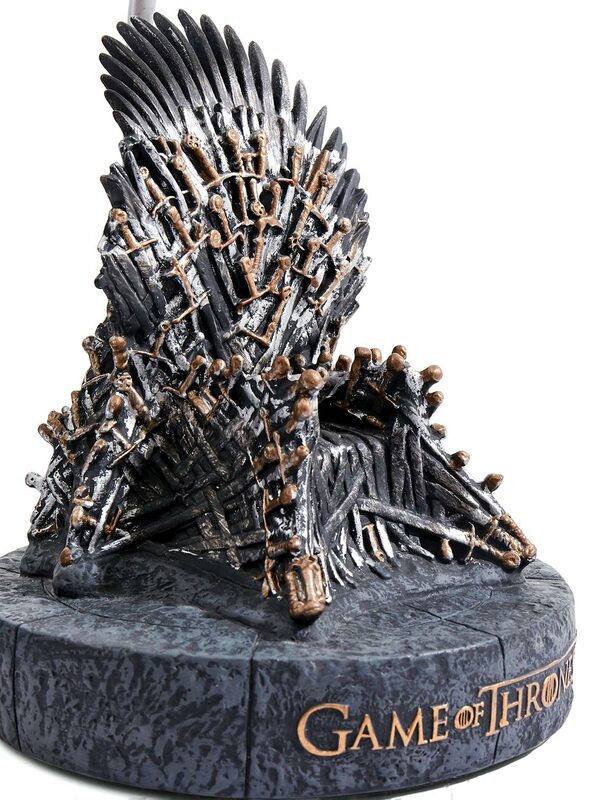 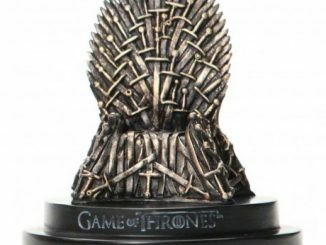 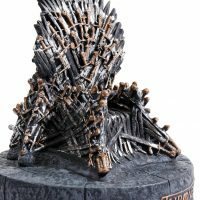 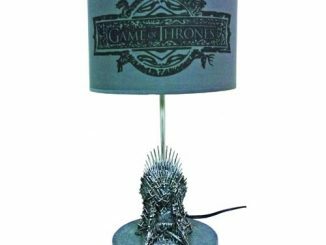 The Game Of Thrones Iron Throne Desk Lamp stands about 18″ tall and is about 10″ in diameter. 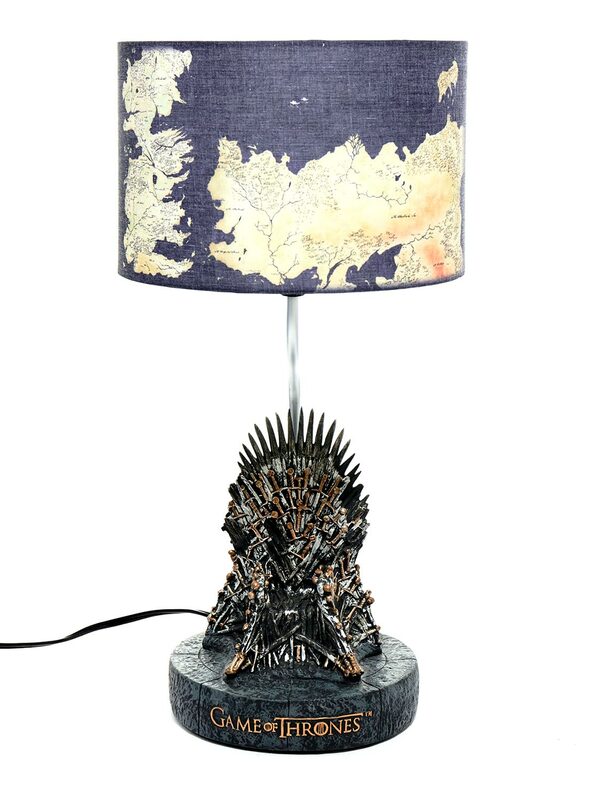 It uses a standard 60W light bulb. 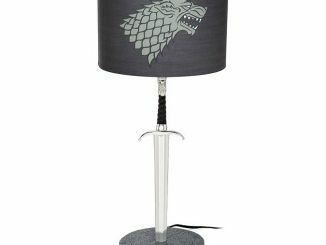 Winter may be coming, but darkness doesn’t have to fall! 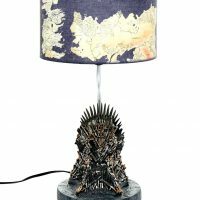 Cast a new light on your Game of Thrones collection with this amazing table lamp. 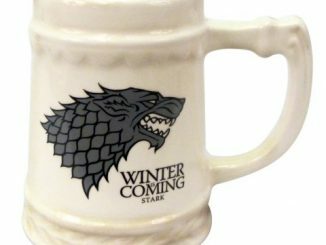 Members of every house will respect the detail and grandeur of this collector’s item. 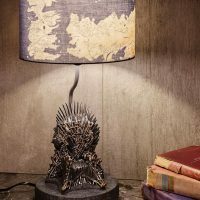 This fully functional lamp sits on top of a replica of the Iron Throne. 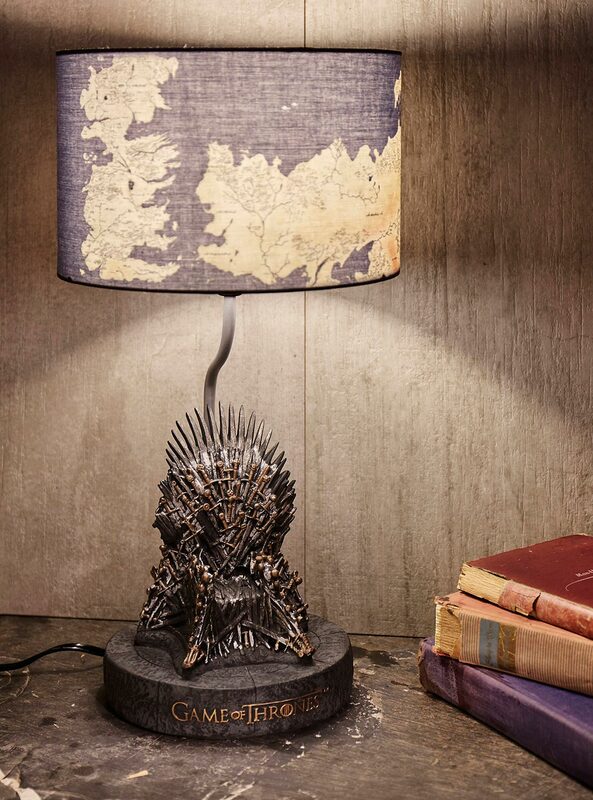 When it is lit, the shade reveals an illuminated map of the known lands of Westeros. 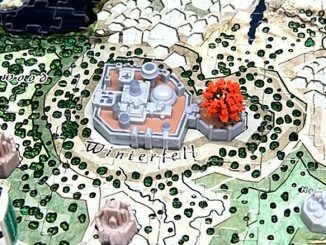 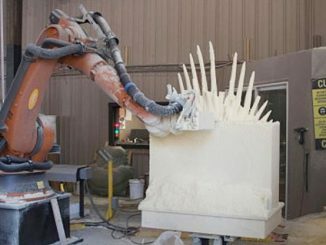 All it’s missing is little mechanical statues and a catchy theme song—though, to be fair, you’ll be humming it all day in your head. 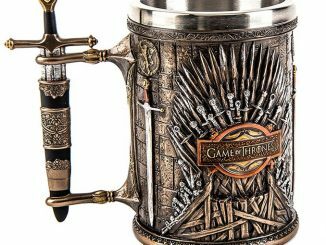 If you’re a fan of the Iron Throne, check out the Tankard, Replica, Bookend, Egg Cup, and Paperweight.